The pressure on Cal's athletic department continues to mount following a faculty resolution calling for the end to subsidies for the athletic program. 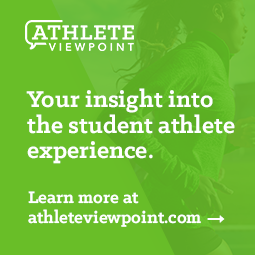 Athletic Director Sandy Barbour was strong in her defense of the program stating, "I object vehemently to the notion that athletics is not part of the educational mission." Elsewhere in California, Cal Fullerton balanced its budget in part by mandating that gymnastics and wrestling fund a large portion of their budgets through donations. Gymnastics needed to raise $90,000 in just a few months to keep the program afloat. As the state budget situation worsens, there is concern that the programs may not last beyond this year. Wrestling will need to raise $200,000 in order to save their program. Meanwhile a faculty member at Louisville is taking a page out of the Cal faculty's playbook and doing his own research about athletic subsidies at his institution, finding various payments to athletics in the previous few years. Central Florida allowed Marcus Jordan, son of Michael Jordan, to wear Nike sneakers, instead of adidas. As a result, adidas will not renew the deal with UCF. It will be interesting to see if Jordan rewards the Golden Knights with a Nike sponsorship. Cal Poly has cut three staff positions, including one fund raiser, to help close their budget gap. They have also eliminated printed media guides and may look to reduce scholarship allocations. The Detroit News has a detailed article about the financial situation at Michigan and Michigan State, indicating that despite the overall budget environment in the state, that they are maintaining robust athletic programs. At Michigan, major construction continues at Michigan Stadium with additional changes coming for basketball in the form of a practice facility as well as renovations to Crisler Arena. The Detroit News also has a smaller article about the financial situations at Central, Eastern and Western Michigan who have much less robust budgets than Michigan and Michigan State. Kentucky spent $300,000 to host its "Big Blue Madness" promotion to kick off the first day of basketball practice. Boston College is not going to pay for their band to travel to away contests this year, which will save approximately $30,000 for the Eagles. Hawaii Pacific has cut an athletic trainer in order to help with their budget situation. Nevada coaches have seen their budgets drop significantly and the details of those cuts can be found here. Inside Higher Education is reporting that 26 states are anticipating another $16 billion budget shortfalls. The impact from these mid-year cuts on higher education and athletics remains to be seen, but this is obviously not a good sign. It was announced this week that California is anticipating a $21B budget shortfall for the 2010-11 fiscal year. Following a year of record cuts in 2009-10, and seeing UC Irvine drop five sports and CS Fullerton mandate new unfdraising mandates for two sports, ADs throughout the state are looking at what comes next. Add another crucial element to the mix: at the community college level, there are discussions to cut standard funding allocations (FTES) for "enrichment" courses by 50%. The legislature has specifically mentioned Physical Education, where Intercollegiate Athletics and its staff also live and breathe. In a state where the K-12s receive approximately $9k per student in state funding and the CC's receive only $4.7k per FTES, these entities are already operating as efficiently as possible.